I walked in the store looking for nothing in particular. But then…I saw them. The patent leather, two-toned, peep toe pumps. I. Have. To. Have. These. But I don’t really need them (or do I?). And I’m sure they are going to give me blisters….sigh. But beauty is pain, people. So deal with it, right? So I walked out with my new kicks, excited to add them into my closet, slightly anxious about if I would wind up with blisters after a night in them. But then I discovered this pain-saving stick by Dr. Scholl’s. You just rub it on your feet before you put on your new (or old) shoes to prevent any friction and rubbing. Blisters, be gone! Ah…the dreaded “what should I wear?” It is hard enough to pull out a stylish outfit that you feel great in on a normal day of the week, so it is only normal to feel somewhat overwhelmed when picking out what to wear for your engagement photos. 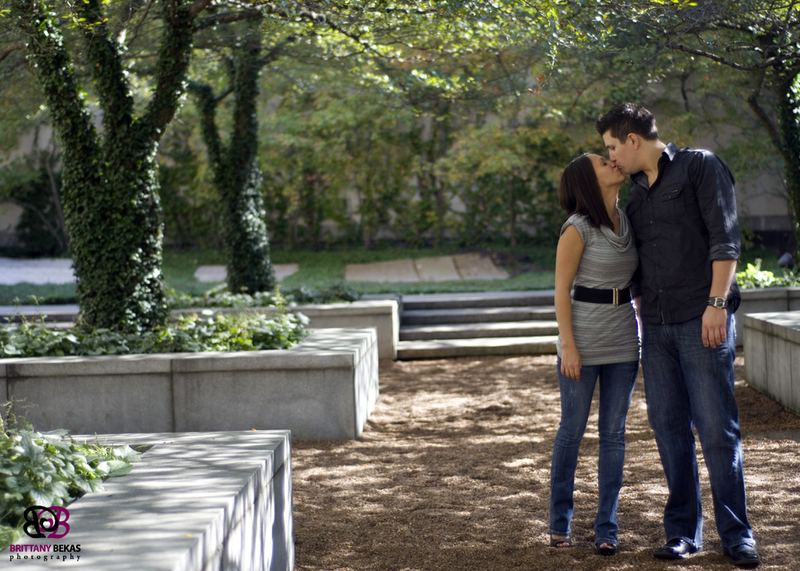 Engagement photos are one of my favorite things to shoot (besides the wedding!). I love seeing a couple be themselves and be so in love. It is such a great way to get to know my couples, for them to take a break from the stress of planning to enjoy each other and for them to learn how I work. Here are some suggestions when looking for the perfect clothing to wear for your session. 2. Don’t be matchy matchy, yet still match. This might be confusing, but let me break it down. You do not want to look like “twinzies!”, but your outfits should instead compliment each other. For example, if you are wearing a bold pattern with purple, blue and yellow, have your finacee wear a solid color shirt in one of those hues. This also means if you have on a cocktail dress, your guy’s outfit should be equally as dressy. 3. Pick out clothes that match the style of your location. If you are going to be taking photos at a rustic location, rock those cowboy boots and sundress. If you are shooting in the heart of the city, pick out a sassy cocktail dress and amazing stilettos. 4. Wear extra make-up. Engagement sessions are the perfect time to do a trial run for your make-up and a great way for you to see how you will look on your special day. If you can’t schedule your trail and session for the same day, then add a little more make-up than normal and put on some gloss or lipstick (but be careful of the color…all the kissing that happens could leave your guy with some color of his own!). I also recommend that my brides-to-be have a manicure since I typically do a lot of up-close shots of the ring. 5. Have an extra outfit. I always encourage my clients to bring at least one extra outfit to change into. I suggest one casual outfit and one more formal outfit. This is also a great way to meet your guy in the middle on an outfit option – i.e. you can bring along those Chicago Blackhawks jerseys for a few shots and still get your LBD and button down look. I have found myself sneaking into the refrigerator more often than not this week. Why? Well, I was in search of my current favorite treat — Pretzel M&Ms. I know these little guys have been around for a while now, but there is something that I love about that little big, blue bag. – They are salty AND sweet. Flavor combination perfection. Check! – You can have 10 (well 9…but what is one more) of these for only 100 calories. Who needs 100 cal packs when you can enjoy these. – Um…chocolate. The miracle food for every emotion – happiness, crabbiness, sadness, craziness. It cures it all. Have a different favorite sweet treat? I’d love to hear about it, so drop me a comment below.